Grammys 2019: Who Will Win Album Of The Year? From Cardi B to Brandi Carlile, here are the 2019 Grammy nominations. With the entire music industry descending upon Los Angeles for the 2019 Grammy Awards on Sunday night (February 10), it’s time to fire up our crystal ball and make a couple of predictions. Album Of The Year is notoriously hard to pick, but here is how I see the category unfolding. In a bid to avoid controversy, the Recording Academy extended the number of nominees to eight this year. Unfortunately, they still managed to anger just about everyone by ignoring mega-sellers like Taylor Swift’s Reputation as well as genuine pop-culture moments like Beyonce and Jay-Z’s long-awaited Everything Is Love. That being said, it’s hard to argue with the albums that made the cut. There was the usual nod to commercial success with Drake, Cardi B and Post Malone earning nominations on the strength of huge streaming numbers and chart success. Popularity wasn’t the only consideration, however. Universally-adored albums like Kacey Musgraves’ Golden Hour and Janelle Monae’s Dirty Computer were also rewarded with nominations as were a couple of worthy wildcards. Veteran singer/songwriter Brandi Carlisle was recognized for her gut-wrenching By The Way, I Forgive You (as well as for her brilliant career), while the inclusion of rising R&B star H.E.R.’s self-titled debut proved that voters aren’t completely out of touch with the next generation of superstars. Throw in the soundtrack of the biggest movie of 2018, Black Panther, and you have eight deserving contenders. The Academy loves nothing more than a well-reviewed, multi-platinum album. Unfortunately, they don’t really have one this year. Cardi B, Drake and Post Malone have the numbers but they all have factors working against them. It is extremely rare for a debut LP to be awarded music’s biggest prize, which makes Cardi (and H.E.R.) long shots. The internet would probably explode from all the poisonous (and, in my opinion, unfair) think-pieces if Post won, which makes him something of a non-starter. As for Drake? He is certainly at the point of his career where an Album Of The Year Grammy feels warranted, but Scorpion is the Canadian superstar’s least critically-acclaimed offering to date. Furthermore, this category has been notoriously unkind to hip-hop artists. If the Academy was finally to going to rectify that, Black Panther would be a better bet. The film’s cultural impact is undeniable and the expertly-crafted soundtrack was an integral part of its success. The album just lacks the all-conquering hits that a previous soundtrack winner like The Bodyguard had going for it. That leaves us with Kacey and Janelle, who have appeared on every year-end list worth reading (including my own). 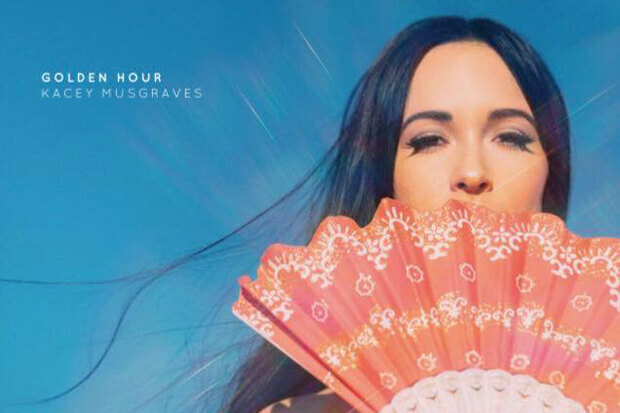 They both have staggeringly good Metacritic scores (89 and 87, respectively) and performed similarly on the charts (peaking at number 4 and number 6, respectively), but the momentum seems to be on Kacey’s side. Oh, and don’t count Brandi out. Beck snatching that Grammy for Album Of The Year away from Beyonce is still fresh in many a music lover’s memory. For me, it comes down to Kacey and Janelle. Both delivered extraordinary albums that pushed the needle forward in their respective genres. Golden Hour had more emotional gravitas, but there is something to be said for delivering an immaculate album of bops – a rare feat that Janelle pulled off with ease and originality. I would be happy with either artist winning, but Golden Hour gets my vote. Just. Who would you like to see win? Let us know below, or by hitting us up on Facebook and Twitter!